Lock 'n' Roll is an intriguing puzzle game requiring a combination of luck and skill. Roll four dice at a time.. It is a Blackjack simulator. Try to score higher than the house to win. If you score higher than 21 you lose. ..
A Slot machine contains three spinning reels that are marked with symbols. 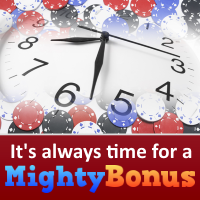 Each time a player makes a spin the..
Two casino games in ONE game! Poker Slot Reels is an exciting and easy to control game with beautiful graphics.. Puzzle Poker is a puzzle game that combines the classic “falling block” game mechanics with poker. The pla..
21 Solitaire is a Black Jack variation with 4 different game modes. Basic modes for beginners and casino gamep..
Casino European Roulette with High-quality Technological style 3D graphics skin - play for fun earn and achiev..